A three-year study by clinical psychologists at University of Toronto Scarborough has found that building on strengths of people diagnosed with borderline personality disorder has as much therapeutic potential as a focus on their symptoms. Positive Psychotherapy (PPT) uses patients’ positive emotions and character strengths to help them cope with symptoms that can include severe depression, anxiety, impulsivity and trauma. 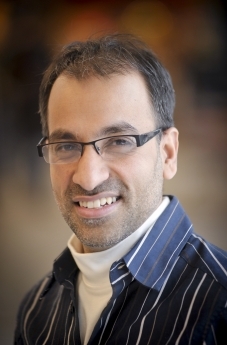 “This is, to our knowledge, the first study at a post-secondary Canadian counselling centre to produce evidence that working on strengths can be an effective treatment approach,” says Dr. Tayyab Rashid, who co-authored the study with lead researcher Dr. Amanda Uliaszek. Published in the February edition of Behaviour Research and Therapy Journal, the study compared PPT with Dialectical Behavior Therapy (DBT), a treatment that helps clients learn ways to tolerate stress, improve troubled relationships and manage emotional impulses or turmoil. It is considered the “gold standard” for treating the disorder. The study randomly placed 54 participants experiencing symptoms of the disorder into either the DBT or PPT group-based treatments. Rashid said the PPT stream experienced a high drop-out rate – mostly after the first session – likely because the participants most found working on character strengths such as gratitude, hope and curiosity was “too soft” of an approach. “However, those who stuck it out did almost as well on symptoms reduction as their counterparts in DBT group,” Rashid says. Rashid also applied the PPT approach in the development of UTSC’s Flourish program that helps students cope with stress by identifying and using their innate strengths and skills. Flourish aims to prevent mental health issues, while PPT is a therapy for those already experiencing symptoms. PPT exercises include guided recalls of both negative and positive experiences, writing about them to extract meaning, and systematically practising gratitude and kindness. Rashid says current basic therapies are mostly remedial in nature and don’t attempt to understand what makes a good life or better relationships for a person with the disorder. PPT can be used in concert with DBT to provide a more holistic treatment approach.